As of today, China Mobile has established 3.23 million mobile base stations, among which 1.79 million are 4G base stations, covering 12 million kilometers of transmission cables. China Mobile has been serving over 1 billion users worldwide, which includes 880 million mobile users, 100 million household users and 6 million enterprise users. 4G users (600 million) make up for over 70% of the total mobile users with an average data consumption of 2GB/user/month. 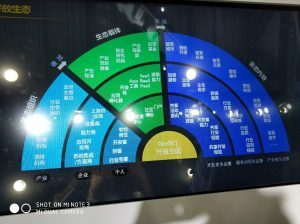 China Mobile will establish a cutting-edge and wide-coverage mobile IoT network in the coming year to fulfill the demand for NB-IoT connections in 346 domestic cities. Having reached over 200 million IoT connections in 2017, China Mobile is targeting another 120 million connections so as to achieve a total number of 320 million by 2018 (read more on Why China is Leading the Development of NB IoT Globally). Under this target the company will not only take the lead lead to improve the network infrastructure for IoT connectivity, but also boost commercial application by lowering market price of IoT modules. 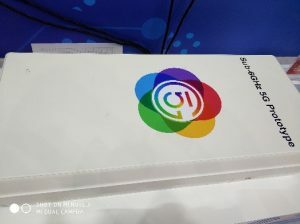 China Mobile has promised to offer CYN 1 billion (or US$150 million) subsidy for NB IoT module providers and another CYN 1 billion (or US$150 million) subsidy for 4G IoT module makers. The subsidy benefit is expected to bring down the average sales price of NB IoT modules (currently around US$9) in China to under US$4 by 2018, which will bring the cost of NB IoT modules similar to or even lower than that of GSM modules. We can see that China Mobile, as part of its strategy, has prioritized the development of IoT. Source: from China Mobile Global Partnership Event 2017, where China Mobile showcased over 10 general NB IoT module products. China Mobile will focus on cooperation with partners from three of its well-established platforms, namely IoT Alliance, Digital Family Alliance and 5G Innovation Center, to drive the technological revolution in China to better serve its worldwide customers. China Mobile has been moving aggressively in the development of 5G network with five 5G labs set up for R&D and testing activities. 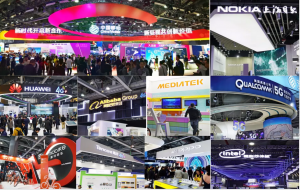 After China has finished the second phase of 5G tests in September this year, telecom operators and related industrial partners (Huawei, ZTE, DT Mobile and etc) are preparing for the third phase test at the end of the year, targeting successful pre-commercial application. 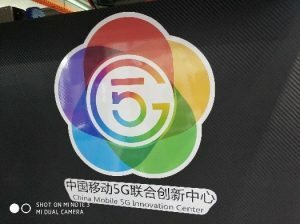 Moving ahead, China Mobile 5G Innovation Center plans to conduct commercial trials of 5G in the city of Chongqing in 2019, and achieve nationwide commercial application by 2020. 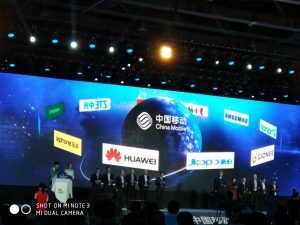 Nine Applications will be launched in the China Mobile online store, including communication service, unified certification, OneNET device management platform, Andlink family intelligent connection, mobile credit, mobile payment, “Video+”, “One Click” connection to E-commerce platforms and Smart voice cloud computing, to create an open ecosystem for both consumer and enterprise customers for better connectivity and management of data. The “1+3+9” strategy indicates China Mobile’s determination to seize the opportunity in the upcoming IoT and 5G era, to transform from a traditional network provider into an open ecosystem provider covering cloud, network tunnel and terminals. In light of internet giants i.e. Facebook, Google and Microsoft investing in building their own network infrastructure to abate the reliability on telecom operators, it’s essential for operators like China Mobile to leverage its infrastructure assets, financial power and massive data resources, to get through the fading edge of traditional services, and create new sustainable business & profit models. China Mobile announced as of Nov 2017 that over 400 million units of 4G mobile phones sold were supported by its network, occupying 80% of total 4G phones annually sold in China (500 million). The giant targets another 400 million to be sold through its network in 2018. 2. 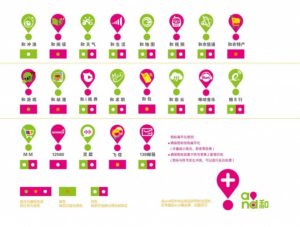 Promotion of smart service Package to build a 4G+ platform: China Mobile will upgrade its mobile services in 2018 to enhance user experience, by promoting “4G+ smart services package” which includes a rich array of its self -developed mobile APPs under “and和” brand e.g. Native RCS (Rich Communication Service) （和飞信）, 139 Corporate Email（139邮箱）, Migu Video（咪咕视频）, Cloud platform（和彩云,) etc. 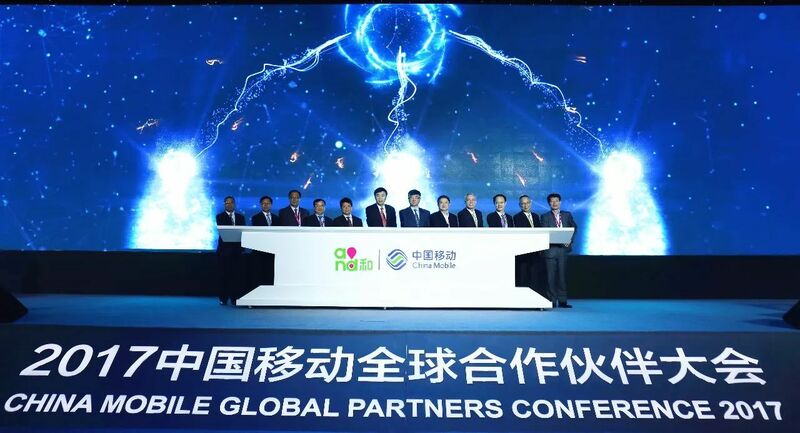 To support China Mobile’s initiative for the 4G+ era, senior management from major local and international smartphone OEMs were present at the device forum of China Mobile Global Partnership event and together signed a cooperation agreement. Samsung Galaxy S8 got the best exposure as the first prioritized partner for the 4G+ plan. It could be a great opportunity for Samsung to re-gain its share in the Chinese market after it has dropped out of the tier-1 vendor list in 2017. 3. Improving Voice Communication Quality: China Mobile will upgrade voice services from VoLTE to EVS to enhance communication quality in weak signal areas. Therefore, the group requires all its 4G+ partners to support EVS-WB from March 2018. In brief, China Mobile is very ambitious to drive the evolution of 5G, IoT and smart devices in terms of both technology and commercial application. 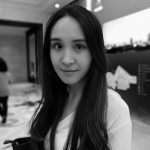 With the telecom giant’s determination and capability to deliver real efforts with its partners, we have every reason to predict a smart nation with IoT application and 4G+ connectivity achieved in China in 2018, and trillion dollars of new opportunities in both consumer and enterprise markets.